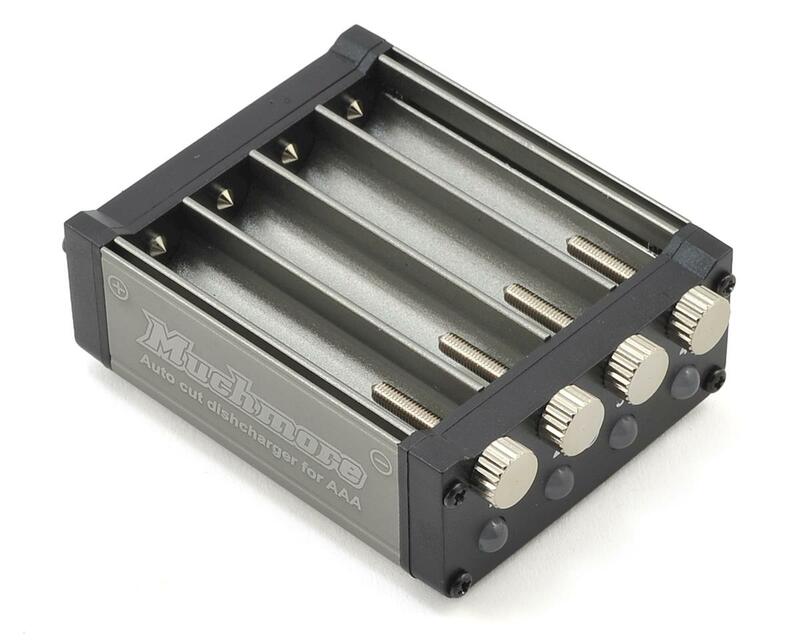 The Muchmore Racing AAA Auto Cut Individual Discharger is the perfect addition to arsenal when you want to discharge your rechargeable AAA NiMH batteries. Simply slide the batteries into the slot, tighten the screw carefully until the tip contacts the battery. A red light on the side will light up, and shut off when the battery has reached .9V. 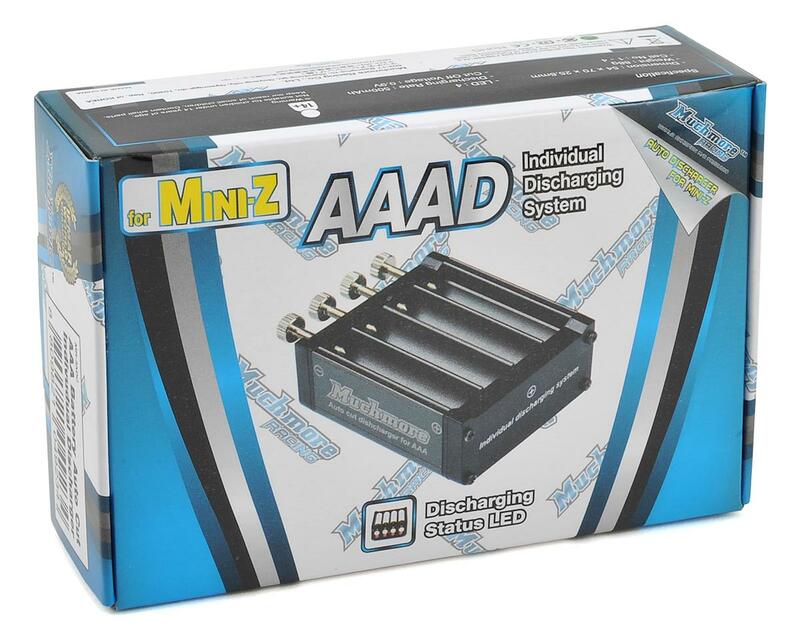 At this point the discharge process is complete and the battery should be removed. Each cell is auto cut off and checked with LED lamp. It can be used without other power. Screw type battery terminal is comfortable to fix battery. Aluminum body is heat resistant.